The highlights of this month were definitely the sunsets caused by strong westerly flow aloft along the front range and over Castle Rock. It seems nearly every night we were treated to amazing pinks, purples and reds in the mountain wave clouds that hung over the front range. These clouds are often a sign of warm conditions as we’ll usually see down-slope conditions form along the front range. 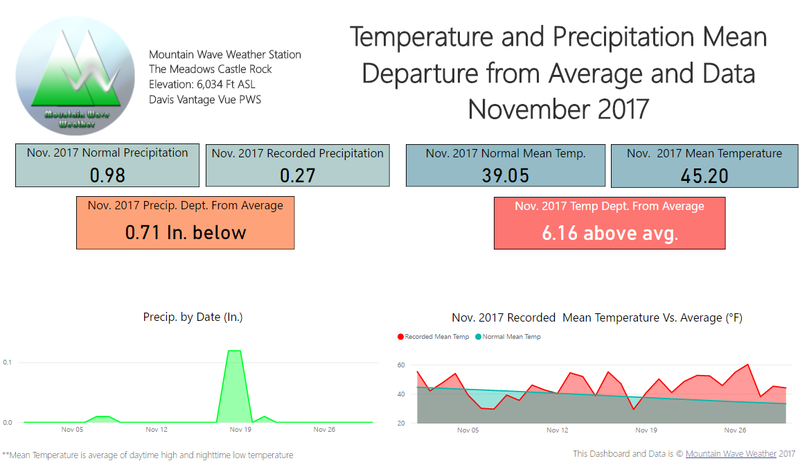 Looking back at November 2017, will most likely remember the sunsets, the extremely warm temperatures and dry conditions. Aside from the sunsets, the weather was relatively boring with few storm systems bringing moisture to the area and a lack of cold air form fronts that never seemed to get quite that deep into Colorado. 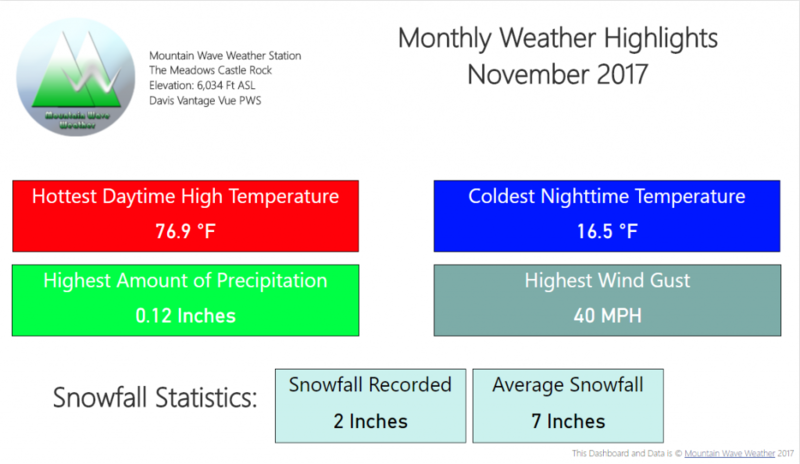 In one word with regards to temperatures for Castle Rock; November was what I like to call a scorcher! The average temperature finished 6.16 degrees above average which is quite significant. 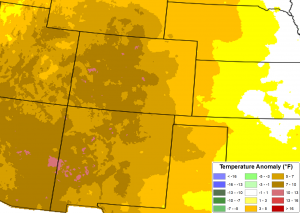 In fact, nearly the entire state saw well above average temperatures and below average precipitation. 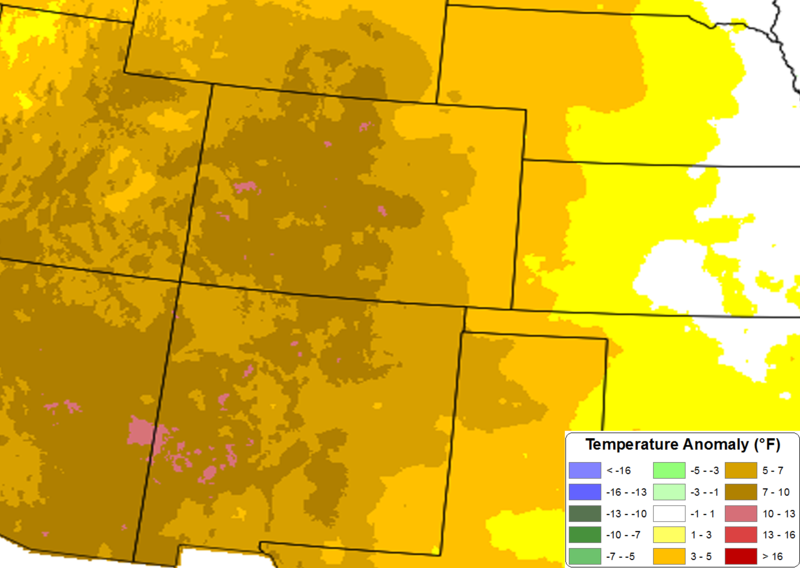 The entire state of Colorado saw above average temperatures for November 2017. Most areas along the front range finished 5-10 degrees above average with some mountain locations pushing over 10 degrees above average! Nearly all of the state saw below average precipitation (with a few exceptions.) Denver and surrounding areas were hit especially hard finishing in the 10-30% of average while areas along the Palmer Divide finished in the 30-50% of average range.